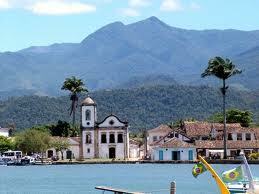 When you're planning to travel to Brazil, there are certain Brazil cities and attractions that you must see. Here's a list of the ones that you should see. More than likely, you won't be able to see all of them which will give you an excuse to come back again and again. The Amazon Rainforest is one of the most spectacular places on earth and covers an incredible six million square kilometers of land. The majority of the forest is situated within Brazil, and thousands of people venture there to explore them every year. The Amazon jungle was nominated as one of the new seven wonders of nature, and it is no surprise why when you see them. Check out these 5 heart stopping things you'll see in the Amazon when you travel here. Iguacu Falls, or Iguazu, is often described as one of the most spectacular and fascinating natural wonders of the world and is one of the must see places in Brazil. 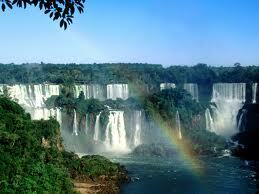 Situated on the border between Brazil, Paraguay and Argentina these waterfalls are breathtaking. There is plenty to see and do in the area, and you will find that you can easily spend days exploring the surrounding areas. Check out these 5 Reasons Why You Should Visit Iguazu. Paraty Brazil has long been considered one of Brazil's historical, hidden gems that has become extremely appealing for tourists to visit. Located just 125 miles from Rio de Janiero it is in the perfect location for locals and tourists to spend time relaxing. Whether you want to soak up the sun along the golden coast, or explore the quaint, historical town there is plenty to see and do. Check out these 5 things you must do when you visit. Florianopolis Brazil has a population of just over 400,000 and is a extremely popular destination for people to spend their vacations. This incredible sub tropical island in the beautiful country of Brazil has so much to offer. Although connected to the rest of the country by a bridge, Floripa feels as if you are in an entirely different place. 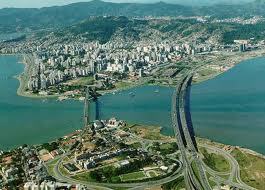 Check out these 5 things you must do when you travel to Brazil and visit Florianopolis. Belem Brazil is a stunning city situated alongside the Amazon estuary in the North of Brazil. 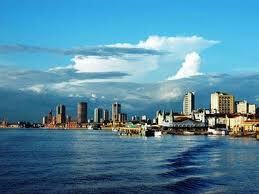 This area of Brazil is a busy port and industrial area and is the gateway to the Amazon. It is ideally located on the Para River and was the first European colony to appear on the Amazon. There is a fantastic mix of old historical buildings nestled next to the stunning modern skyscrapers. More people are beginning to realize the full potential of Belem Brazil, and are taking the time to visit. Check out these 5 cool things you can do when you travel to Brazil and visit Belem. 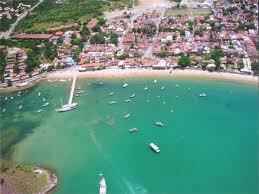 Buzios Brazil has some of the most popular beaches to visit when you travel to Brazil. They are Joao Fernandinho Beach, Azeda Beach, Ferradura Beach and Geriba Beach. Azeda beach is a small beach, which is home to crystal clear waters that tend to be rather calm. This beach is easy to get to and it can be accessed on foot following a short trail or via boat. Joao Fernandinho Beach is a small beach, which has calm, crystal clear waters. This beach is located close to the other popular beach in the area that is known as Joao Fernandes. This beach is home to a number of bars and some of the finest seafood including lobster. Ferradura Beach is also home to a number of picturesque bars and these serve local styled meals and drinks. 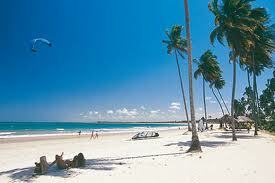 Natal Brazil is a beach city off the east coast of this beautiful country. It's name in Portuguese means Christmas so it's Christmas all year in Natal. This is one of the prettiest Brazil beaches you'll see when you travel to Brazil because of its simplicity and clear water. You can either sit and relax at the beach or you can do some adventurous stuff. I've listed a little bit below for all types of personalities. Click the link above for the 5 coolest things you can do when you're in Natal. 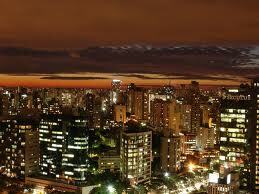 Belo Horizonte Brazil, which means beautiful horizon in Portuguese, is a busy city full of hustle and bustle. The excitement is already at full throttle 24/7 as the city gears up to host the 2014 FIFA World Cup. Aside from enjoying the city's night life, day attractions, busy markets, entertainment centers and restaurants, there are many other tourist attractions to see. The attractions in and around the one and only Belo Horizonte Brazil can relax, amaze, awe and excite you, and here is a list of its top 5 attractions. As you can see, when you travel to Brazil there is plenty to see and do. I think you'll be happy with your choice to see these different Brazil attractions and the many Brazil cities that are just absolutely beautiful. From the Amazon Rainforest down to the Iguacu Falls, you'll wonder why it took you so long to decide to Visit Brazil. Since I moved here, I have almost felt overwhelmed with so many things to see. 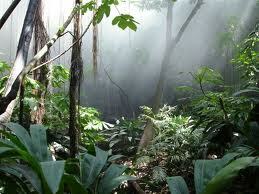 I love nature and Brazil has plenty of that for nature lovers. Just take your time when you travel to Brazl and enjoy it a piece at a time. Ate logo amigos!